I know what you’re wondering: Is there really a way to easily use Instagram for business? And can you really capture leads on Instagram? The answer to both questions is a resounding, yes. By running an Instagram promotion or contest. If your next question is: Are there tools that’ll make it easy to collect and manage leads on Instagram? The answer to that one is yes , too. Instagram engagement is about ten times higher than it is on Facebook. Bottom line: Instagram is a powerful place to invest your lead-generation efforts. For starters, engagement is about ten times higher than it is on Facebook. And there’s less competition for eyeballs on Instagram, too: About 90 percent of businesses are on Facebook but, as of the end of 2017, only about 70 percent of businesses in the U.S. are trying their hand at Instagram marketing. Now that Instagram has roughly 800 million monthly active users, it’s the ideal time for brands to look for ways to engage with their followers. It’s important to remember that building an engaged audience and collecting leads on Instagram requires more than publishing pretty pictures. It requires a thoughtful strategy, SMART goals (that is, specific, measureable, attainable, realistic and timely), and the right software. The offer could be an Instagram exclusive offer (#instagramexclusive), an Instagram giveaway or contest. Use an incentive, like a discount or the chance to win a prize, to motivate people to share their email address with you. 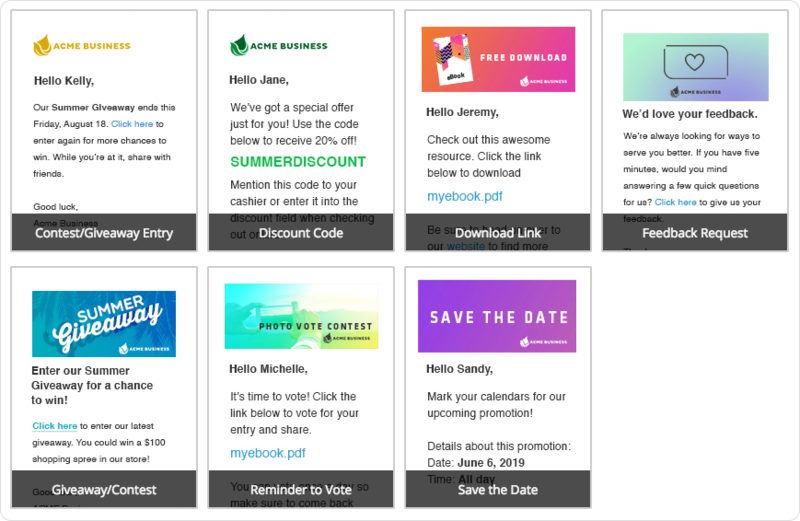 As soon as someone enters your contest and shares their email in exchange for the chance to win your prize, or access a discount you’re offering, email them to confirm their entry and include a special offer. Before we get too far into details about the steps listed above….let me say a few words about Instagram “like to enter” or “tag to enter” contests. These kinds of contests are everywhere these days, mostly because they’re so simple to run. But the fact is, they’re not very useful — at least if your goal is to collect leads. They’re kind of like the old Facebook “Like our page to enter” contests that were all over the place just a few years ago. These contests are great if you just want to boost your “vanity metrics,” but that’s about as far as the benefits go. You’re much better off using the link in your Instagram bio to collect email addresses so you have a way to send customized marketing messages to people who like your brand enough to follow you. Ready to see details about the steps to take when planning and running an Instagram promotion that will bring you leads? Let’s go! The last thing you want to do on Instagram is a hard sell. So this is where coming up with a compelling offer can get tricky. In a perfect Instagram world, your images blend right into people’s feeds so they don’t even realize you’re selling to them. 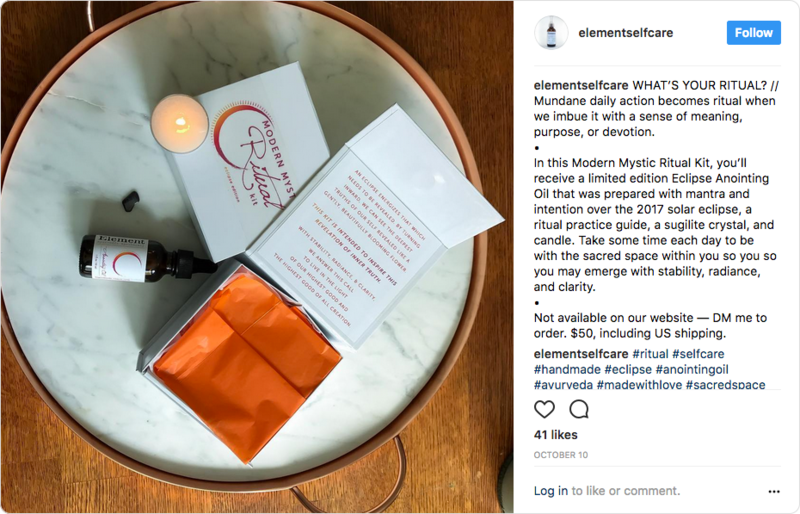 In the example below, Elements Self Care created a little montage that says “relax” and in the caption they ask their followers a question to stir engagement. They conclude with an offer: A special price on the featured product, for Instagrammers only. The catch? People have to DM Elements in order to learn more and place an order. Kind of a hassle. As any business marketing on Instagram knows, there’s only one link allowed in a profile. Most business use that link to drive people to their website, or to a third-party provider, where it’s possible to make purchases, and to collect email addresses, UGC or other data. The third-party option, using companies like Like2Buy, can be expensive and it’s more suited to mega brands like Target and Pottery Barn. However … there are plenty of ways any business could use that link to collect email addresses and then reward people who fill out their form. 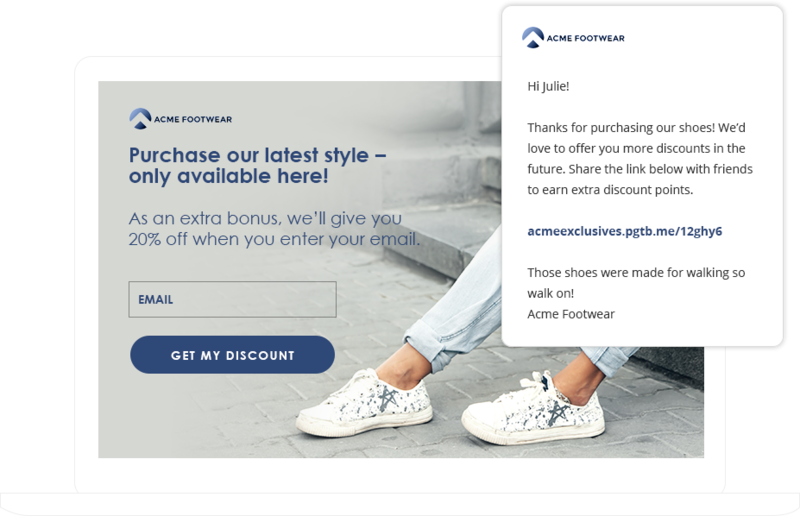 For example, using a ShortStack template to create a branded landing page, Elements could have easily allowed people to make a purchase without having to DM, and even offered the added bonus of a discount code for other purchases to anyone who shared their email address. Dogs rule on Instagram (seriously, there are 81 million #dogsofinstagram posts vs. just 67 million #catsofinstagram) and @Dood_its_Chester” — Chester being the photogenic goldendoodle — is just one of many accounts with a committed fanbase. Chester’s owner seems to make sales by offering up special discount codes for people who follow the account. The followers then use the codes to buy various pet-related products. In the example shown below, Dood_its_Chester ran a “Follow & Tag” giveaway. 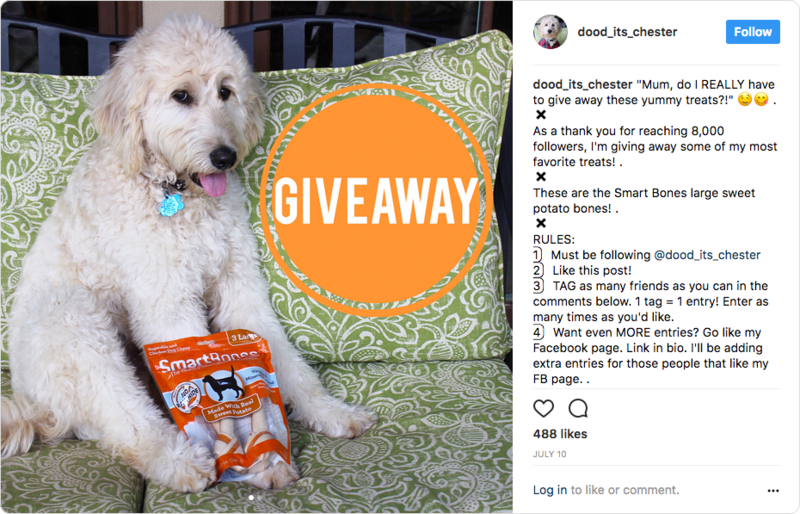 Since one of the account’s goals was to grow their Facebook page, Dood_its_Chester also awarded bonus chances to win to people who followed them and tagged a friend AND then moved over to Facebook and liked that page as well. It sounds well and good, but it would be a hassle to track. A better solution would have been to direct people to the link in Dood_its_Chester’s bio where they collected an email address and awarded bonus points to anyone who took the actions Dood required. 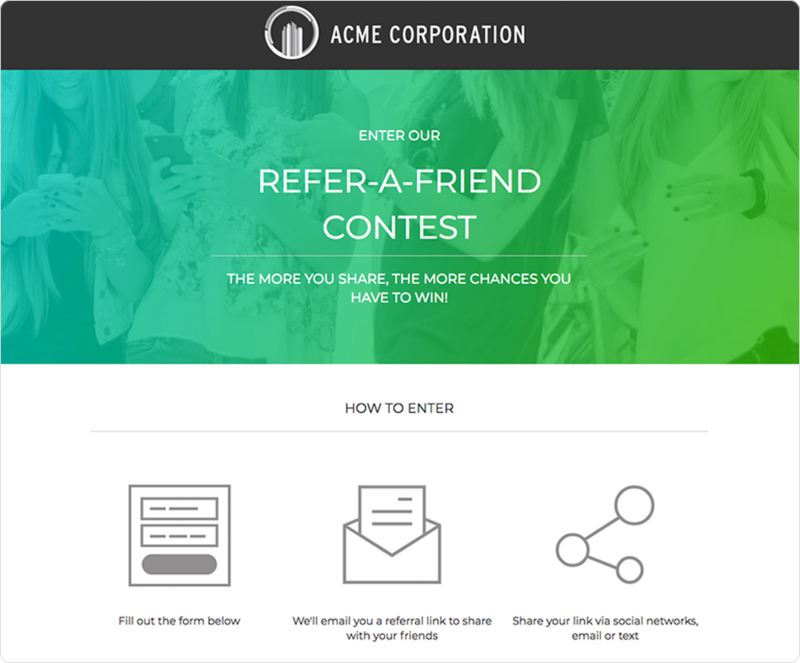 For example, Dood_its_Chester could have linked to ShortStack’s Refer-a-Friend Contest template and collected email addresses and awarded extra chances to win to anyone who shared the link. Or they could have linked to an Earn Extra Points Contest where they could have collected an email address and awarded extra points to people who chose to answer a few questions about their product preferences. While it might be nice to amass a big following, those numbers are essentially a vanity metric that isn’t necessarily useful. You’re much better off awarding extra points to people who share their email address with you so you have an opportunity to follow up directly with them. 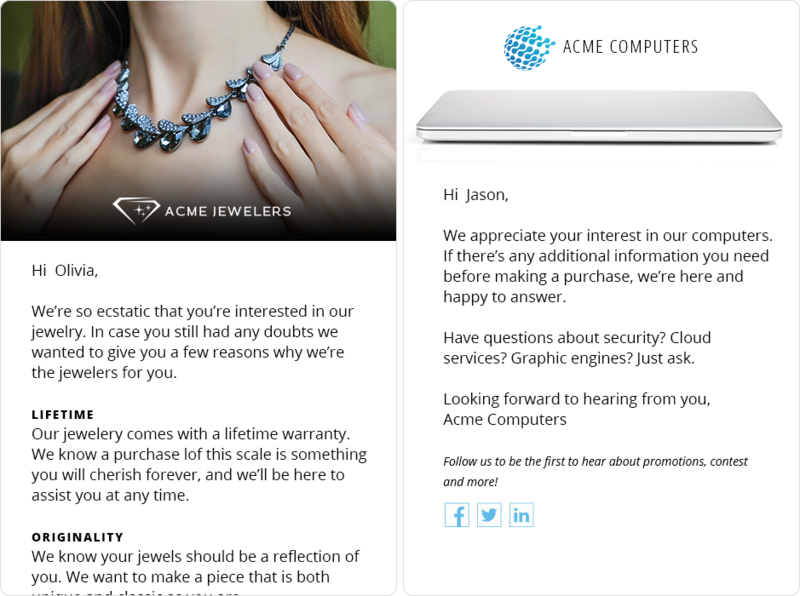 “We know our product is a perfect match for your needs.” This kind of message does double duty. First, because the people you’re sending it to have previously expressed interest in your products and services, you are reminding them of their initial interest. Second, it’s a reminder to all these folks that you have confidence in your products and services (because, duh, of course you do!). “If there is any more information we can provide, please let us know.” At first glance, this sounds like a general “We’re here for you,” but the difference is subtle. You’re telling your leads that you are an information provider, and you’re at their service. The quid pro quo is that you provide information, they provide you with the information you need — their credit card number — so you make a sale. Instagram is starting to gather massive momentum and there are plenty of ways even small businesses can use Instagram to collect leads and information that is much more valuable than likes and follows. The key is to think strategically and then take the basic steps it takes to close sales the way you do using your other channels. It’s free and we don’t need your credit card.